Milan hops on the car-banning bandwagon with its own proposal to create zones of "pedestrian privilege" - Archpaper.com Milan hops on the car-banning bandwagon with its own proposal to create zones of "pedestrian privilege"
Milan is the latest city to join the ranks of Paris, Madrid, Brussels, and Dublin in expelling cars from its smoggy, often gridlocked city center. Unlike its more zealous counterparts, the city has opted for an incremental approach, with no proposed timeline and a gradual, virtually street by street implementation. 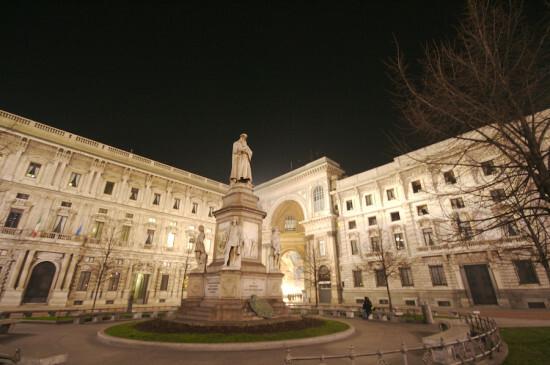 Despite taking things slow, deputy mayor Lucia di Cesaris stressed that the plan will amount to no less than a “soft revolution.” Earlier this month, she announced the pedestrianization of the Piazza della Scala, the grand square on which the Scala Opera House is located. Purging the square of vehicles will extend to the north the existing pedestrian zone in Milan’s heart, consisting of the Cathedral Square and the area around the Galleria Vittorio Emanuele II, the adjacent shopping arcade. After the Piazza della Scala joins up with this zone, the car-free area will extend into the streets beyond the square. Pedestrianization of this area, a hub for arts and culture venues, is a welcome move to transform it into a thriving, open-air promenade. 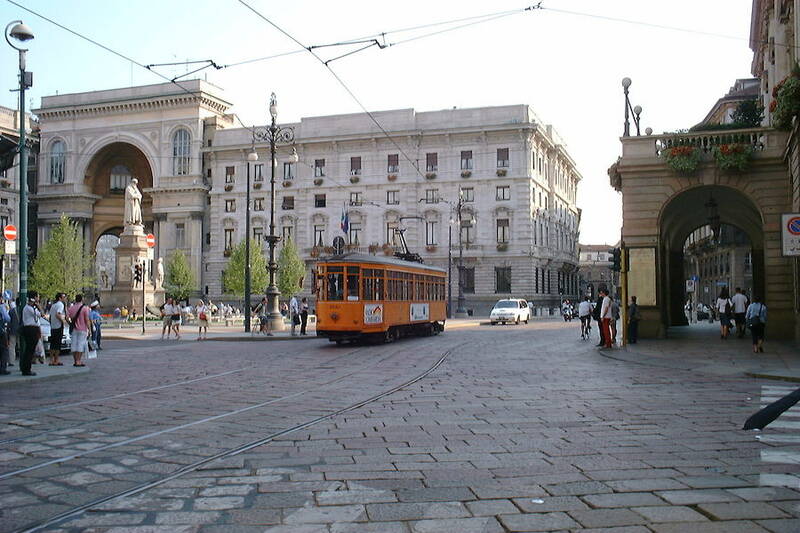 Long beset by pollution problems, Milan has experimented with an array of schemes—from banning traffic altogether for 10 hours on a Sunday in February 2004 when smog levels exceeded the statutory maximum, to paying commuters to leave their cars at home and use public transportation. A coalition of Milanese companies sends drivers vouchers worth $1.87 (the average daily cost for using public transportation) for each day their vehicles stay in their driveways between the hours of 7:30am and 7:30pm. Dedicated “black boxes” installed behind vehicle dashboards track the car’s whereabouts to verify compliance. According to Inrix, a traffic information provider, Milan has the worst traffic of any city in Europe, and one of the highest pollution levels in the continent.